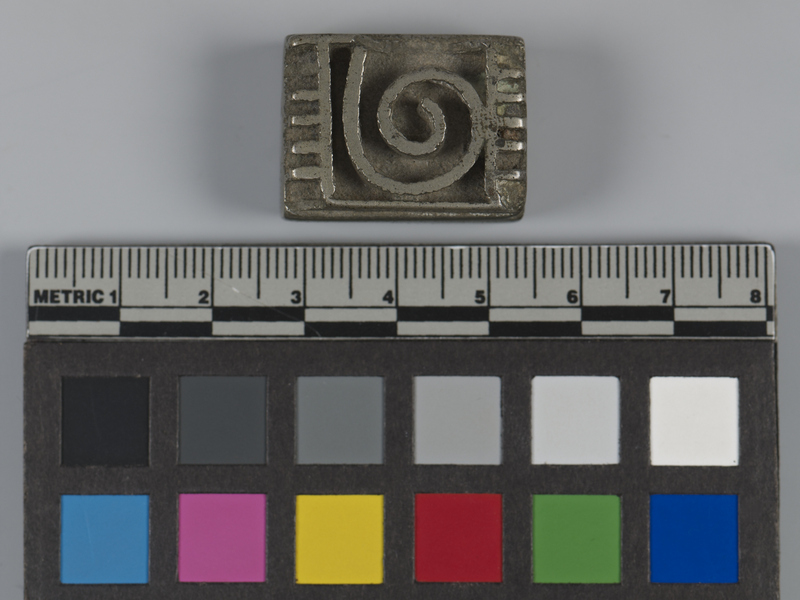 Item number 3123/58 from the MOA: University of British Columbia. 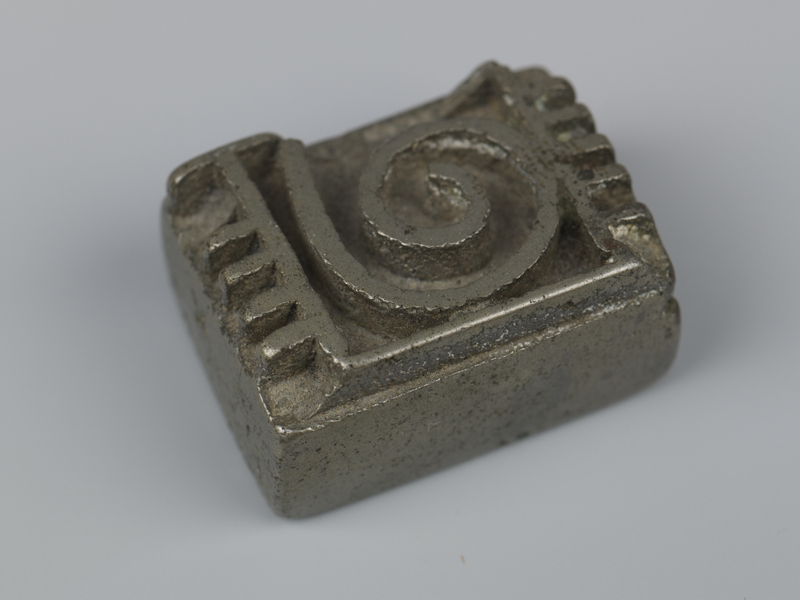 Steel-like metal weight, rectangular and thick in cross section. On its upper surface is a raised spiral, at centre, surrounded by a three sided border and very thin lines along the short edges.